If you are reaching retirement age, or already retired, it may seem like a great idea to draw capital or income from your home, especially if you are struggling financially. Some lenders talk about having a holiday of a lifetime, or being able to help your children, as good reasons for doing this. However, there are possible problems that may arise in the future. Increasingly, people of retirement age are still paying mortgages when they retire. An article in the Guardian by Rupert Jones on 17th, February 2017 estimates that one in four people planning to retire have an average debt of around £24,000. Some mortgage lenders will allow borrowers to just pay interest on their mortgage, rather than capital as well, which can mean the repayments are more affordable. However, the downside to such an arrangement is that the capital may never be repaid, until the property is sold. As well as conventional mortgages there are “Equity Release” mortgages, where the borrower can raise a sum of capital, or draw down a regular amount. The lender adds interest, and the loan is repaid when the property is sold or when the borrower comes into some money, perhaps from an inheritance. A consideration with such a scheme, is when people are in receipt of state benefits. These may be affected by equity release payments. The other problem is that the interest can quickly roll up so it can reach a point where there is no equity in the house. Simon Lambert writing in “This is money” quotes a 60 year old borrowing £80,000, which after 20 years would have grown to £256,570. A real danger is that the owner may not be able to downsize in the future if they have no equity in the house. A further point to be aware of is that such lenders can apply very heavy penalties for cancelling the loan, in addition to the interest charges if you try to repay it. In some cases these can be thousands of pounds. It is therefore important to be fully aware of these before entering into such an agreement. For many people, a less appealing but more practical option may be to down size to a cheaper property to release funds. If a flat is considered, do seek legal advice in relation to leaseholds and management fees. The Equity Release Council represents the Equity Release sector with the aim of protecting consumers. 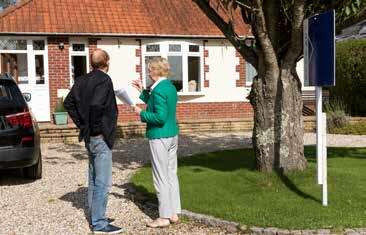 Assuming downsizing isn’t an option, there are also home reversion schemes where the owner sells all or part of the house to a third party for an agreed sum, but has right to remain in the house. These are unregulated so require extreme care. In conclusion therefore, such schemes may be right for some people but before entering into any agreement relating to your most valuable asset, your home, pay for independent legal advice and take time to reflect.